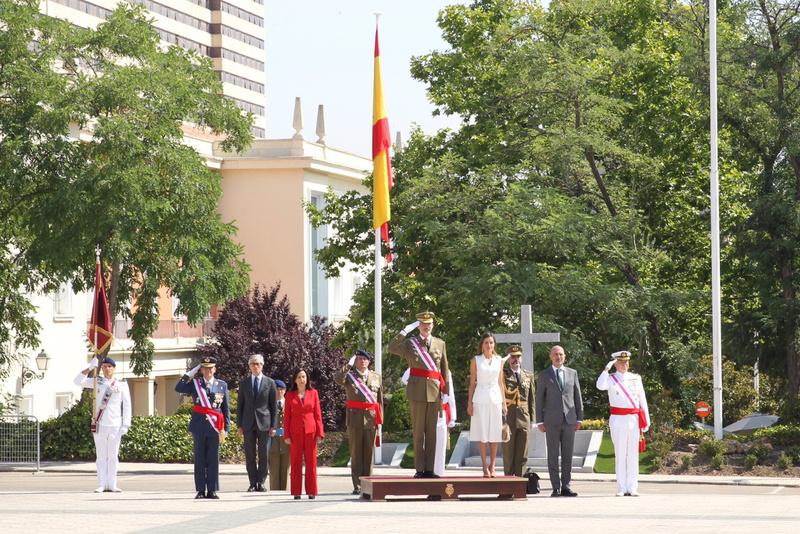 Today King Felipe and Queen Letizia presided over the ceremony of Royal Offices at the Central Academy of Defense, military educational institution responsible for the formation of the Common Corps of the Armed Forces. The Central Academy of Defense (ACD), is the military educational institution responsible for the formation of the Common Corps of the Armed Forces and supervision of the teaching foreign languages ​​in Spain to military. Since its establishment in the Common Corps of the Armed Forces, 1308 officers and 509 non-commissioned officers have received training. Currently, the staff of the Central Defense Academy is composed of 186 people: 141 military personnel: 67 officers, 31 non-commissioned officers and 43 troop military personnel, and 45 civilians, including civil and professional civil servants. The number of students graduating in the current academic year 2017-2018 is 140, of which 57 are women and 83 are men. Their Majesties arrived at the Central Academy of Defense and were greeted by Defense Minister Margarita Robles Fernández. Then the royal couple received the official honour from the armed forces team. King Felipe reviewed the troops before the beginning of the official event. The event started with the reading of the order of promotion and then the award and order granting ceremony was started. King Felipe delivered the promotion and orders to the young officers. The Royal Couple during the ceremony. At the end, Their Majesties greeted the participants Charts Command in training and the officers and NCOs who have received the office. To end the day, Don Felipe and Dona Letizia signed the Book of Honor of the Academy and held a brief meeting with participants attending the event. 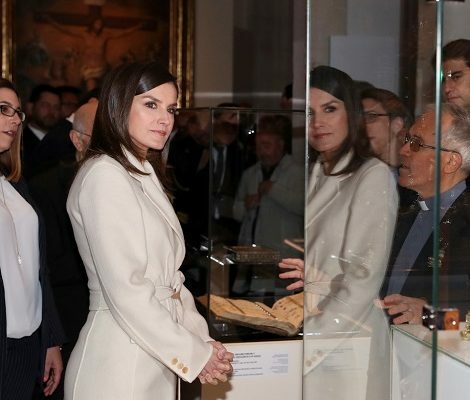 For today’s ceremony, Queen Letizia choose her head designer Felipe Varela. The Spanish label has designed Queen’s most formal attires for many years. Today Queen wore white Army Vest jacket. 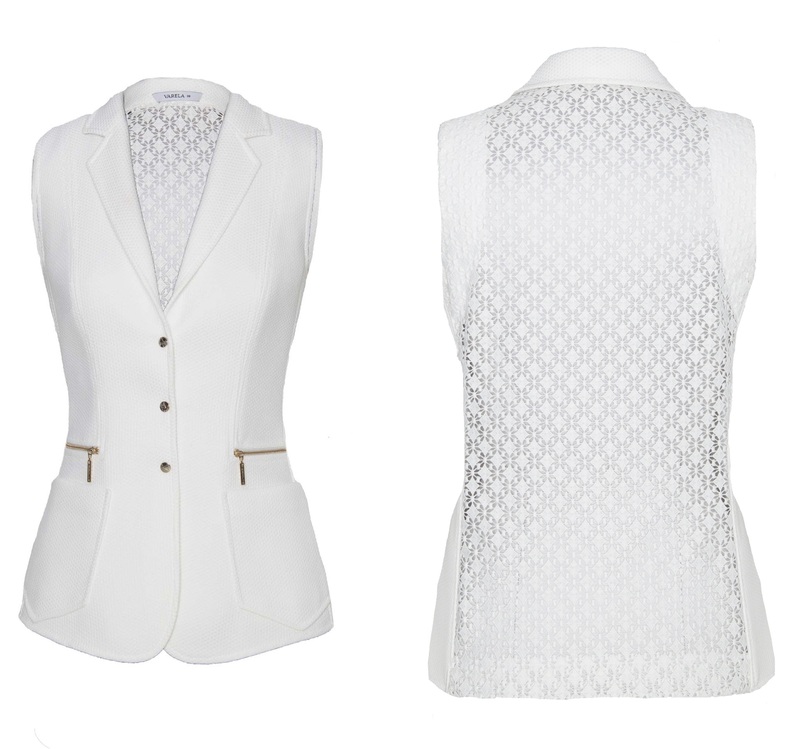 The sleeveless tweed jacket has guipure cotton back and features gold button closure at the front with matching zippers at the front pockets and White patent leather belt with gold buckle. The vest jacket is available online for € 347.00 that originally retailed at € 495.00. 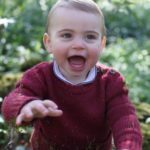 Queen paired the stylish jacket with matching tweed Felipe Varela skirt. Letizia accessories the look with gold brown Carolina Herrera shoes and bag. 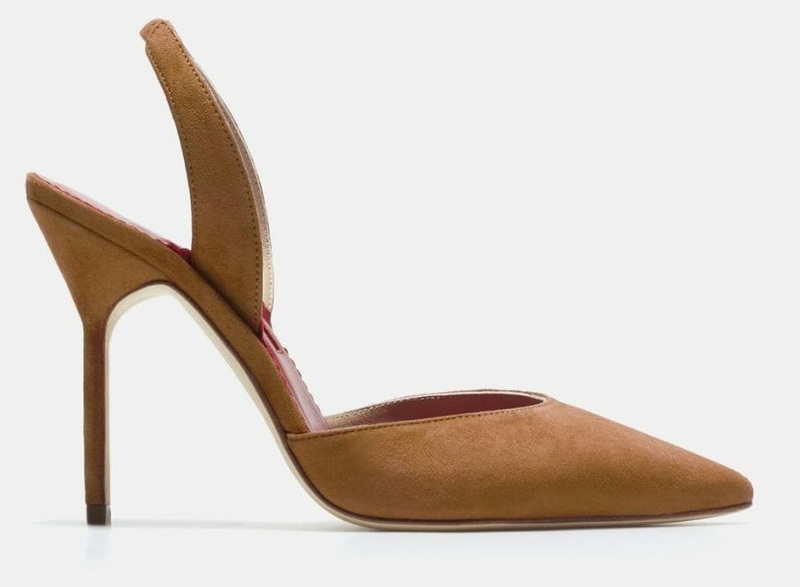 She was wearing Carolina Herrera brown suede pumps that she premiered last week during an audience at the palace. 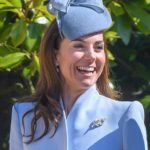 Queen was carrying a two-toned Camelot handbag. 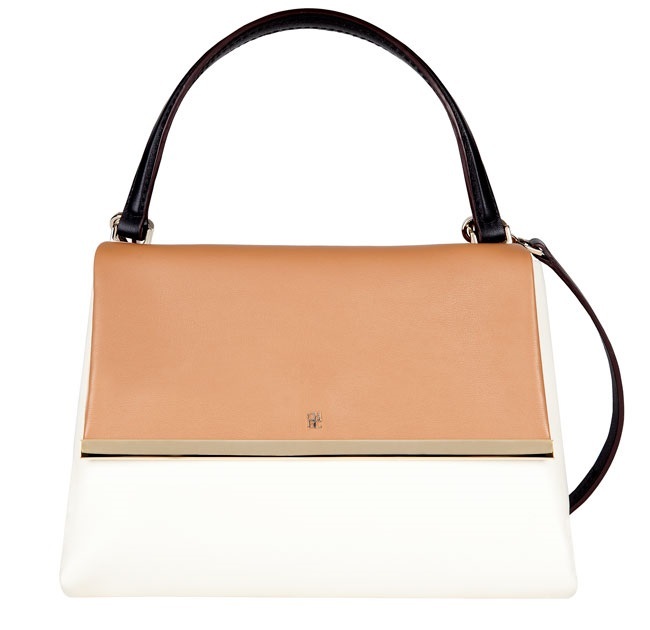 The camel and white colour Carolina Herrera hand bag was debuted at the Royal History Dictionary Presentation in May this year and currently retailing at sale for $195 at TheRealREal. 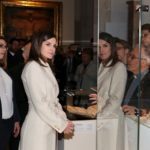 Letizia finished her look with gold long leaf earrings that have been part of her wardrobe since 2015. The label of the earrings is still unknown. 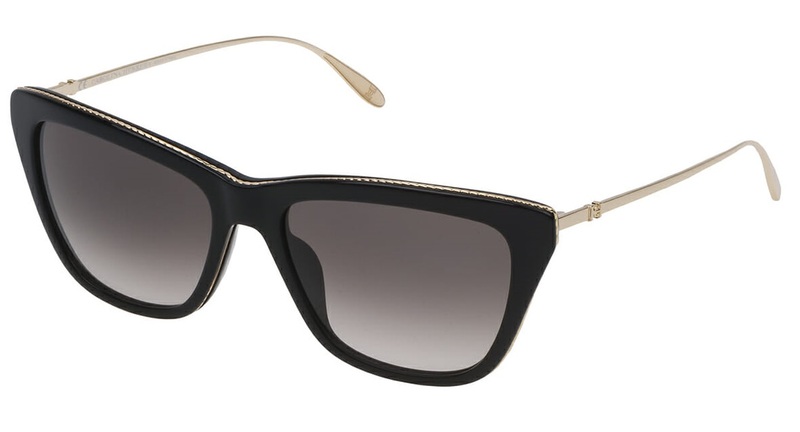 And Carolina Herrera sunglasses from label’s Pre-Fall 2018 collection.